Our offices are spread across the globe and you may contact us in the below given locations. Contact: GUERRY L. GRUNE Ph.D., P.A. 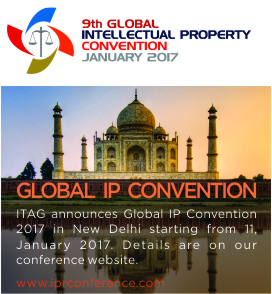 ITAG has built a strong alliance with an Intellectual Property (IP) service provider based in Japan, Sangam IP. They will support our clients in several dimensions of IP business from and with Japan. We satisfy the requests of our clients by contributing expert IP registration and management services especially in licensing, litigation support, IP watch, information providing, education, etc. and also for patent research in Japan. Sangam IP is headed by Dr. Vinit BAPAT. He has over two decades of experience in the Japanese patent field. He is also currently engaged as a Visiting Professor at Kanazawa Institute of Technology for US and Indian Patent practice. He is experienced in the Patent laws of India, Japan, and US. For further information please call us on +91 33 2363 3925 / +1408 694 3101 or send us an email at info@itagbs.com. C/o Gati Asia Pacific Pte Ltd.
C/o Gati Hong Kong Ltd.